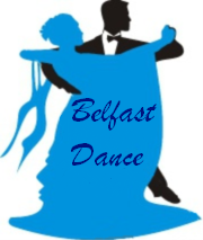 Dance Classes, Lessons, Events & Courses for Belfast Dance. Belfast Dance for Dance Lessons, Classes, Events, Performances, Demonstrations & Wedding Packages in the Greater Belfast Area. Event Organiser, DJ & Disco, Regular Dance Classes, Performances, Corporate Entertainment, Weddings. Dance Styles: Tango (Argentine), Salsa Dance, Rock 'n' Roll, Merengue, Waltz, East Coast Swing, Cha-Cha, Foxtrot, Waltz (Viennese), Rumba, Tango (Ballroom), Quickstep, Jive, Rueda, Mixed Social Dance, Bachata, American Smooth, Milonga, Vals, Kizomba. Tango (Argentine), Salsa, Rock 'n' Roll, Waltz, East Coast Swing, Cha-Cha, Foxtrot, Rumba, Quickstep, Tango Instruction, Practice, Social Dancing. Admission £6.00. Entrance: via Stage Door on Albion Lane. [Couples/Dance Partners Only]. Please see http://www.belfastdance.com/lessons.php for our tuition schedule. Tango (Argentine), Salsa, Rock 'n' Roll, Merengue, East Coast Swing, Cha-Cha, Rumba, Jive, Rueda, Bachata, Kizomba Instruction, Practice, Social Dancing. Admission £6.00. [No Partner Required]. Please see http://www.belfastdance.com/lessons.php for our tuition schedule. Rock 'n' Roll, Waltz, East Coast Swing, Cha-Cha, Foxtrot, Rumba, Tango (Ballroom), Quickstep, Jive Instruction, Practice, Social Dancing. Admission £6.00. [No Partner Required]. Please see http://www.belfastdance.com/lessons.php for our tuition schedule.